Let me introduce myself: I am Whitney a daydreamer from Rotterdam, the Netherlands. My passions are blogging, photography and shopping. In November 2013 I started blogging for a Dutch website focused on women, http://www.vrouwen.nl. 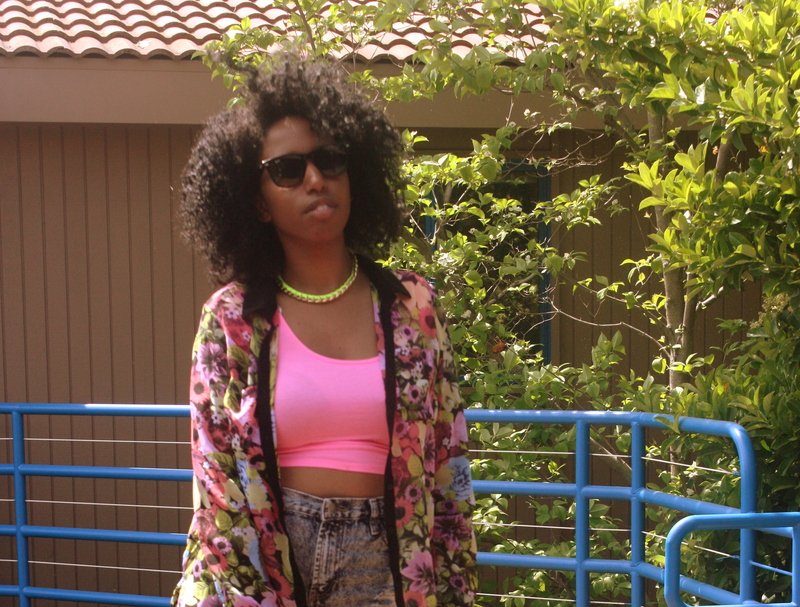 One month later I decided to start my fashion blog, WhitneyFromTheBlogue. In May my friend, Caressa, and I decided to share our passion for hair with the world on here. At the age of 5 I got that white gunk in my hair which affected the texture of my hair immediately. My mother was tired of me hiding in the garden whenever I had to wash my hair. She relaxed her hair as well and she thought it was the best solution. When moving from Curacao to Rotterdam I was surrounded by people with straight hair. Nevertheless, I noticed a few people who were wearing their hair curly and I remember me thinking their hair was beautiful. One day maturity started kicking in; I was 18 and sick and tired of applying relaxer to my hair. I started developing strong views and beliefs and one of them was that I want others to accept me for the real me, the natural me. Around that time, an increasing amount of people decided to transition. My surrounding was not happy with my decision; my mother told me that I would damage my hair a lot. “Mom, I do not know my hair, but I will learn from scratch”, I responded. My mom and I were basically throwing arguments to each other, until I decided to stop. I knew she would learn from my experience as well. This year I noticed that my curls were becoming smaller and my hair shorter. At that point I started being unhappy with my curls. This resulted in a lack of self confidence. Then I started thinking: Why was this happening to me? Where did this insecurity come from? I decided to go back in time and realized that my self confidence regarding my hair was affected at that very moment I got my hair relaxed. As a child I developed the thought that my natural hair was ugly. When growing up I saw people being bullied because of their hair texture and that all stayed with me. There I knew what caused my insecurity, so it was time for me to work on it! I normally always wear my hair in a bun; because of the weather circumstances in the Netherlands…Frizz is guaranteed. However, I decided to learn embrace my hair by wearing my curls down no matter what. Guess what? This was the best idea ever! I am now walking around proudly with my curly fro. To summarize, Texture does not define the beauty of your hair, but its health does.